Safety is paramount for your underground laid high or medium voltage cables. Electroplast has cover boards for the purpose of ensuring this safety. The protection boards are made from high quality black polyethylene compound. 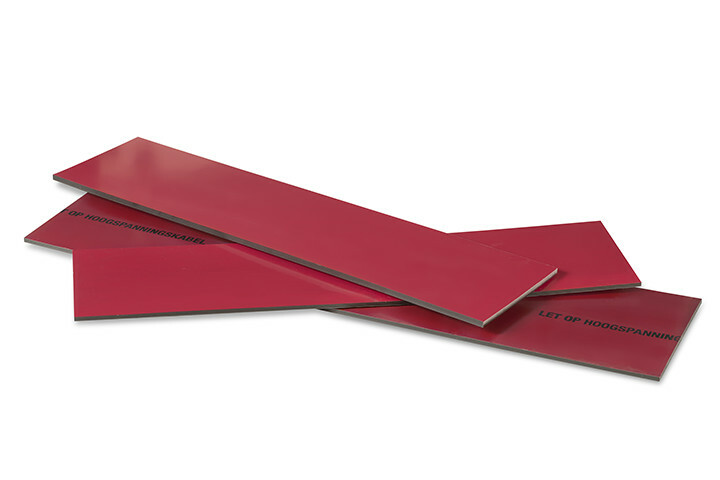 The impact-resistant protection boards are mounted easily (manually) and made for you in any size desired. The boards protect both your live cables as well as underground water and district heating pipes. Impact resistant material that meets all safety requirements and standards. Available in all sorts of dimensions. If required, we provide the boards with holes on each side, so that you can connect them quickly and easily using connecting pins. Available widths vary from 100 to 1.220 mm. 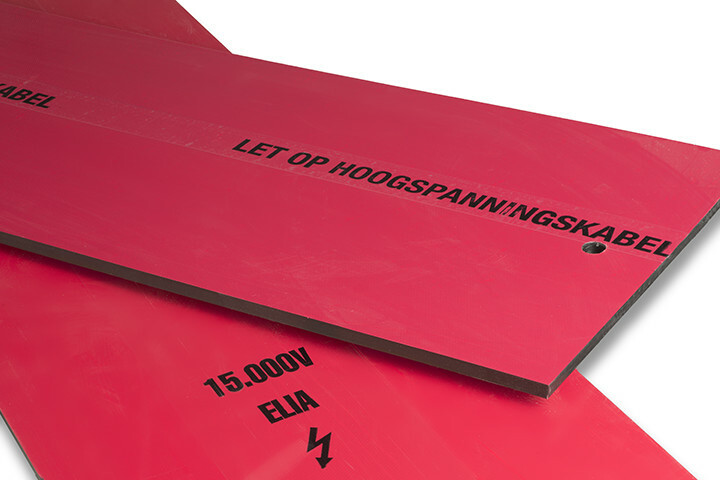 Available board thicknesses vary between 6 and 18 mm. The standard board length is 1.000 mm. If necessary longer lengths are available. If you so wish, we can provide the boards with a top layer. You can choose from the colours red and green. Other colours are available upon request. We can also affix a warning message on the material.